Chef Carl's Make a Pizza & Cooking Parties for parties & schools in NY, NJ, CT and PA! Chef Carl Caters to You! 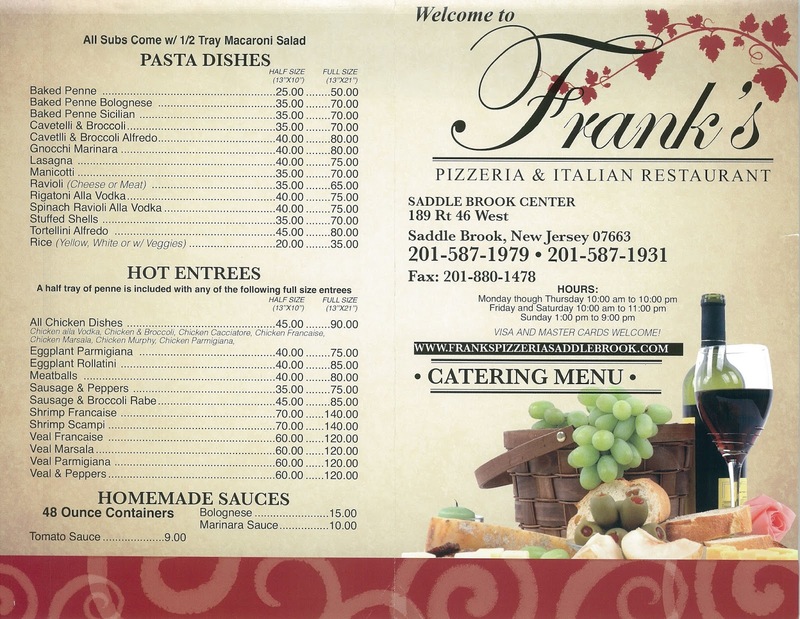 In addition to our "Make a Pizza" parties, Chef Carl has catering supplied by Frank's Pizzeria in Saddle Brook, NJ. Be it a family picnic or a formal sit-down dinner, Chef Carl can supply your event with a delicious offering of gourmet-prepared meals. Below is just a sample of his most popular foods. 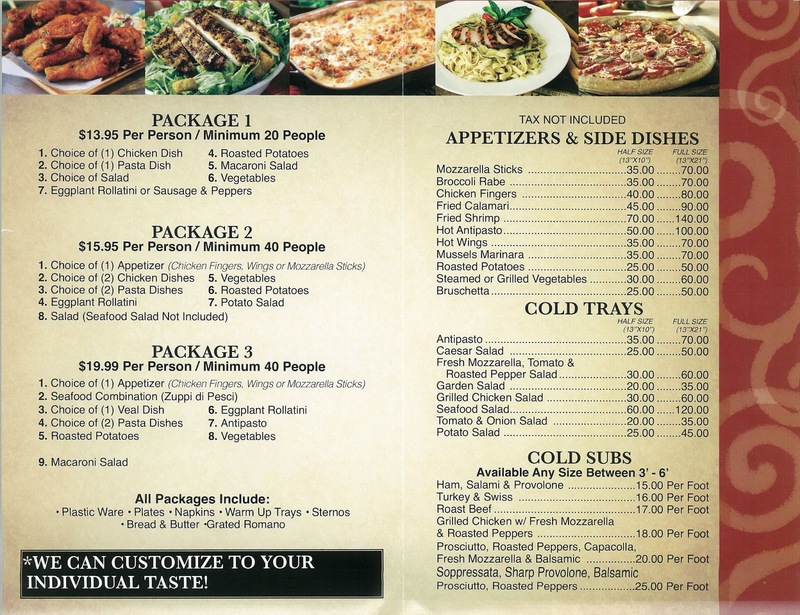 We understand that your menu selection is very important to you. If you have any special requests, we will do our best to meet the needs of your guests for your special occassion.